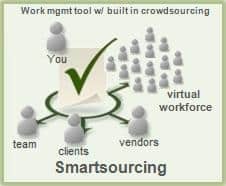 I’m into outsourcing now and crowd sourcing is also an idea that is playing in my mind because of the variety of results that you’ll get regarding a particular tasks that you want done. You will basically be able to choose the best from among the rest and that is good. Maybe I’ll try it and let’s see what happens from there.